Disclosure: This post was sponsored by Starbucks as part of an Influencer Activation for Influence Central. I received compensation and complimentary products to facilitate my review. Winter would simply not be the same without the tasty goodness of hot chocolate. It’s been a cold-weather classic for me since childhood. Of course, as I have transitioned into adulthood, my love for the cocoa drink hasn’t changed, but I have found new creative ways to drink hot chocolate. 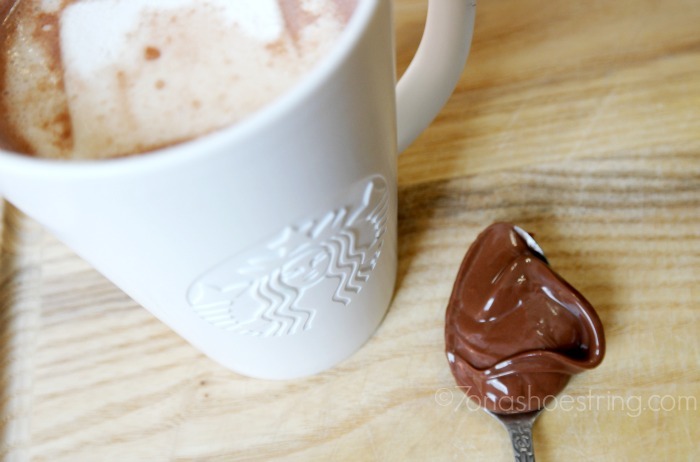 Additionally, Starbucks® Hot Cocoa K-Cup® pods make it super easy to enjoy the creamy chocolate drink at home! 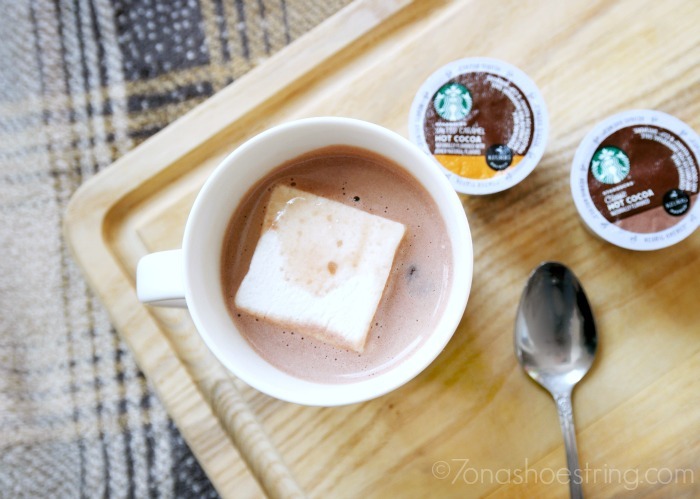 Starbucks® Hot Cocoa K-Cup® pods were created especially for your personal recipe for relaxation. Each mug of hot chocolate is made with real cocoa and non-fat milk and as close as the push of a button. The Starbucks® Hot Cocoa K-Cup® pods come in two decadent flavors: Classic and Salted Caramel. The new Salted Caramel Hot Cocoa K-Cup® pods combine a “pinch of sea salt and a dash of natural caramel flavor” to create the perfect sweet-and-salty sensation. Classic Hot Cocoa with Marshmallows — Nothing more classic, right? 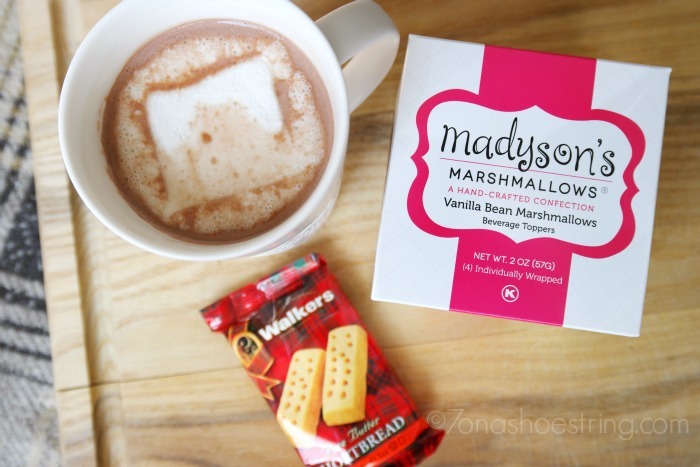 Brew your choice of hot cocoa and then simply add marshmallows. Nothing fancy. Just a cup of hot chocolate to warm your insides and relax your body. Nutella Hot Chocolate — An easy way to add a taste of hazelnut to your mug is to mix 2 tbsp of Nutella into your hot cocoa. The warm liquid will melt the spread as you stir and will leave you with a deliciously creamy drink. 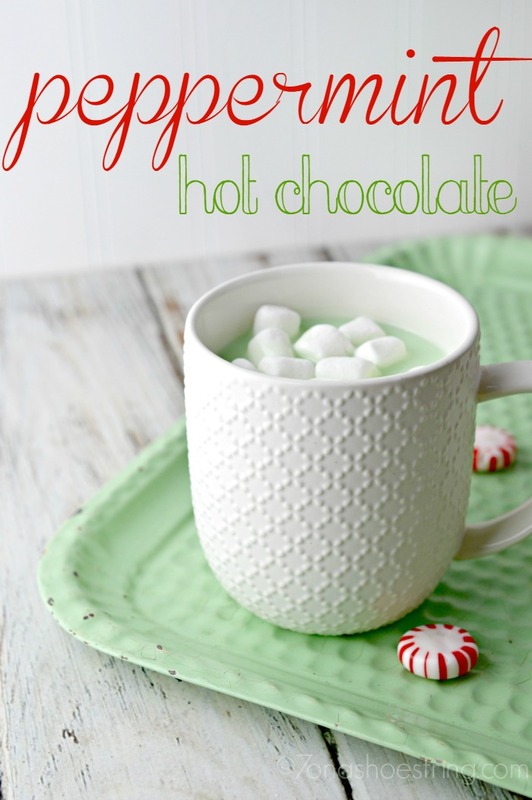 Peppermint Hot Chocolate — A ½ teaspoon of peppermint extract and a few chocolate shavings can make for a minty burst of flavor! Mexican Hot Chocolate — Add some bold spice to your next mug of cocoa with ½ teaspoon and a pinch of cayenne pepper. Use a dried cinnamon stick as a stirrer and serve! Peanut Butter Hot Chocolate — Just 1 tablespoon of peanut butter can add a whole new element of fun and flavor to your mug! Top with chopped salted peanuts for an added crunch! These 5 simple ways to drink hot chocolate prove that treating yourself doesn’t have to be challenging. In fact, you owe it to yourself to take a break now and then. 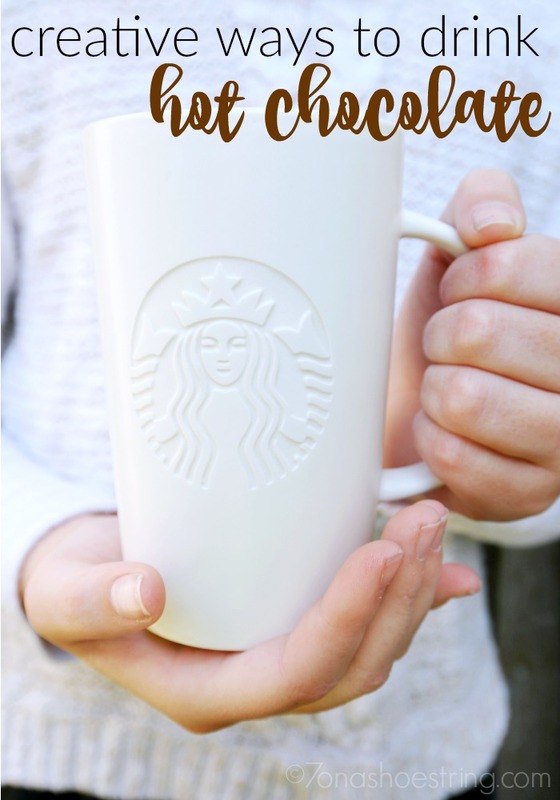 Brew a cup of Starbucks® Hot Cocoa K-Cup® pods, add a teaspoon of this or that, cuddle up with the Starbucks Cozy Collection and enjoy the time you have!